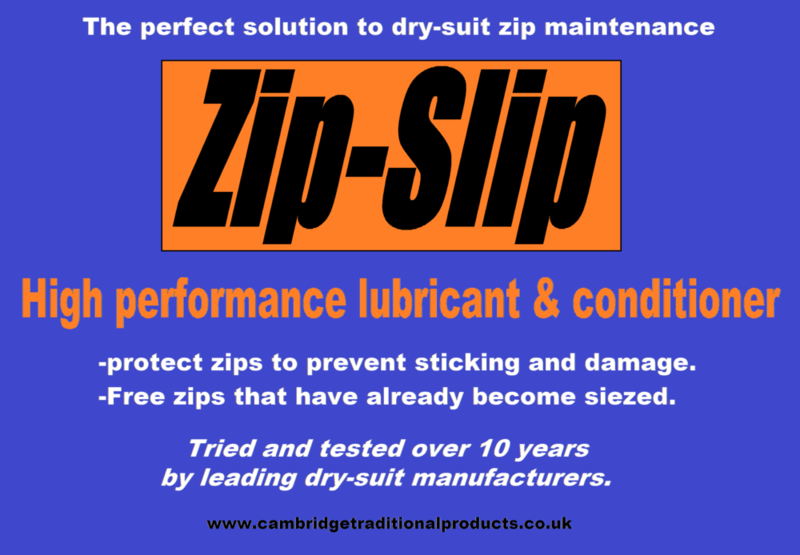 Zip-Slip sits apart from all the other products in the Cambridge Traditional Products range. It is a zip lubricant that conditions and protects the elements of a zip, reducing the likelihood of expensive zip repair costs in the future. Unlike the rest of our range it is not a woodcare product and it is deliberately not made from natural ingredients. So, what is it, and why do we make it? This blog retraces the steps of how the zip lubricant Zip-Slip came to be as a direct result of a phone call from a diver. We sell a lot of natural pure beeswax sticks, and as we know, beeswax has a phenomenal number of uses, many of these are listed here. 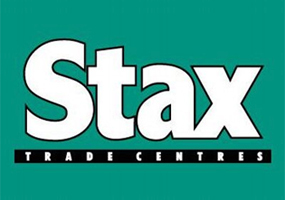 A large number of the sticks we sell go to the sub-aqua industry. Traditionally divers would use a beeswax stick as a zip lubricant. They rub it into the teeth of a zip of a dry suit to protect the zip, ensure its smooth running and avoid zip repair jobs. Some ten years, CTP founder Adrian had an enquiry from a diver who said that he had experimented with using our traditional beeswax polish as a zip lubricant. It was, he said, extremely effective. The problem was that the Turpentine in the polish was softening and damaging the rubber over time — obviously not recommended on a dry suit! The diver asked if we could come up with a similar product that would be safe for use on rubber. Adrian gave this some thought. The obvious alternative was to replace Turpentine with a Turpentine substitute — White Spirit. Before long Zip-Slip was born. Turpentine is a natural ingredient. White Spirit is a man made Turpentine substitute. It was developed in the 1920's and first used in the dry-cleaning industry. It is what most people use to thin paint, clean brushes, etc. Most importantly, it does not detrimentally affect rubber in any way. So, White Spirit does have its uses. (It does NOT, however, make good furniture polish! See our FAQ's to understand why). Zip-Slip soon became popular with divers as a zip lubricant that helped to waterproof and protect zips in a way that minimised the likelihood of zip repair or replacement jobs. Over the last decade we have supplied major dry-suit manufacturers, who often give a bottle away with a suit sale, as well as other sub-aqua accessory suppliers. Zip-Slip is extremely versatile. It can be used as zip lubricant and conditioner, to protect a zip, and potentially save the need for expensive zip repair later. It can also be used to free-up a zip that has already become stuck. You simply coat the zip elements inside and out. For ease of application, Zip-Slip may be warmed slightly by placing in a container of hot water or rubbing between the hands. This is especially beneficial during a zip repair job when you want to penetrate the teeth of a stuck zip. Recently we decided it was time to look at re-packaging the product to make it more appealing to the general outdoor market. Zip-Slip is an extremely useful treatment for any kind of zips that are exposed to the elements. For example, zips on outdoor clothing, tent bags, fishing tackle, and in the boating sector. Both Adrian and myself have previously lived on boats, and have observed that one thing that always happens when people 'lay up' their boats for winter, or just don't visit them regularly enough, is that the canopy zips get well and truly stuck. Then people turn up at the marina in spring, and the first thing they have to deal with is a jammed and very stuck zip. A thorough application of Zip-Slip at the end of the summer season will prevent this from happening. We decided to obtain a new, more retail-friendly display carton which holds just 12 bottles. Several shop keepers had said they were interested in the product, but were put off by it previously only being available in a carton of 36. When I sat down to design the labels for the new cartons, I realised that we needed to look at a complete make-over. The original bottle label was, frankly, poorly designed. It was jumbled and completely lacking in impact. Fortunately, re-designing the label was not very hard.The main thing was to have a logo that was as visible as possible. This involved turning it from a horizontal position that meant it wasn't all visible to the new vertical position. It seemed obvious that impact and simplicity were the main criteria. With a limited area of label visible on the bottle, once the logo position was decided upon, it was a case of fitting the other required words into the space that was left. So, Zip-Slip is now available in a counter-ready display carton containing 12 bottles, with one of the four carton labels shown above. It is also still available in the original carton of 36 bottles.